I assume that you have a running Ubuntu installation. This is written with 16.04 in mind but should work with some adaptions on other versions as well. example.org is used as an example (D’oh) in this post, and should be changed to suit your installation. This will install Apache2, PHP, MariaDB, and some dependencies, in addition to PHP bindings for accessing mysql. Vhosts are virtual hosts, which is used to serve different content for different domain names. First, we define the primary ServerName. This is the domain used to access the site. Only one can be defined per vhost. In addition, we define a ServerAlias, in case someone enters www.example.org in their browser. This ensures that Apache replies to both names. Both names has to point to your server, either in DNS, or in /etc/hosts for local testing. Any number of server aliases can be specified, and they do not have to contain parts of the ServerName. Thus, ServerAlias example.com would be valid. If you now visit http://example.org, you should see the output *This is a test”. Congratulations! Your first vhost is running! To receive certificates from Let’s Encrypt, we need a client. The letsencrypt package included with 16.04 is ancient, so we need a ppa for this. Select the domain you want to get a certificate for and follow the on-screen instructions by certbot. When asked if you want to redirect, select redirect if you want https only, and no redirect if you want both http and https. Today, there’s almost no reason to not redirect. Try visiting http://example.com again – it should change to show that it is secure. Congratulations, you have not set up apache2 with a valid TLS certificate that ensures traffic is encrypted! Next step is to install some application. I’ve picked WordPress as example to install. You will now have a WordPress instance at https://example.com/wordpress/ – let’s go there. The wizard tells you that you need a MySQL table, user, and password. Let’s make them! Fill in the username wordpress_user, databasename wordpress_db and password passw0rd in WordPress’ configuration. That’s basically it; the rest is about following WordPress’ installation guidelines. To add more vhosts, simply start from “Setting up a vhost”. So, I’m talking to the Trådfri GW. It turns out that my initial research was correct. It is talking coaps. I used californium.tools/ to talk to it, requesting coaps://10.0.3.25/.well-known/core. It actually seems to implement the standard rather well 🙂 I had to use -psk and enter the security key, printed on a label under the gw itself. UPDATE: Leave PSK identity blank. This is obviously the remote control unit. Another of the bulbs – I currently have two. This is obviously the one in the living room – LR. This is powered on, whilst the other one has main power removed. The powered on one (this) returns more data than the one that is powered down. I have defined one group, containing both bulbs. 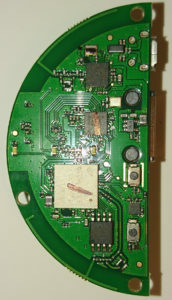 The 9003 array contains the devices in this group (remote control and two bulbs). This is information about ntp server. You can change to your own ntp-server by issuing a set request, with pool.ntp.org replaced by your own. Quite neat actually. This is one of the presets for mood lightning in the app. Reddish with low intensity. Yep, 5851 is the dimming level. Yup, promptly dimmed up. Sending only the 3311 did nothing – it appears I have to send the entire thing back to the bulb for some reason. That’s it for now. Some pointers on how to talk to the lights. Update: There’s some discussion at ha-bridge’s github about this topic. Also note the first comment – I didn’t include this information, but yes – the PSK identity should be left blank, and the key is the one printed on the label of the gw. So, Ikea has released Trådfri seemingly worldwide. This is a series of Zigbee enabled lights, which looks quite neat. I bought the starter kit, with a gateway, two bulbs, and a remote control. First a couple of sentences about the remote control. It has on/off, dim up and down, and change color temperature. Nothing too exciting. If it is paired with two bulbs, and one is on and other is off, they will swap when on/off is pressed… It appears to have the advertised range of 10m, and certainly is a neat addition. There’s not many components there… Notably two buttons: one reset, and one pair button. I fired up the android application, which appears to be using multicast (224.0.0.1) to find the gateway, and then communicates using encrypted coap (coaps). A tcpdump can be found here. Not really interesting tho, except that I’m a little bit surprised that they bothered to include encryption. Also, it does not look like it attempts to talk to the Internet. I’ve not set up logging, but I’ve checked a few times, and the device has no outgoing connections – which is a good sign in my book. Installing Debian on x86 readyNAS. The Netgear readynas is essentially a x86 computer, with a handy Serial TTL interface at the back. However, it’s not entirely straight forward. Unetbootin-created usb-media did not boot, but the debian netboot iso appears to boot. However, it doesn’t support serial console out of the box. After remastering the netboot image with settings for console, I was ready to try again – holding the ‘backup’ button on front while powering up. And presto – a debian boot menu appeared. From thereon it was pretty straight forward. If you want, you can grab the image here – debian-8.2-serial.iso. It can we written to CD with your favourite recording software, or written to a usb stick with dd. For the Netgear, use a usb stick. The performance went from 450Mbps to 950Mbps, so clearly the way outdated software that Netgear shipped it with was inadequate for the hardware. So now I have a Debian computer, which can do anyting – not limited to what Netgear wanted me to do. And as a bonus it even performs better! 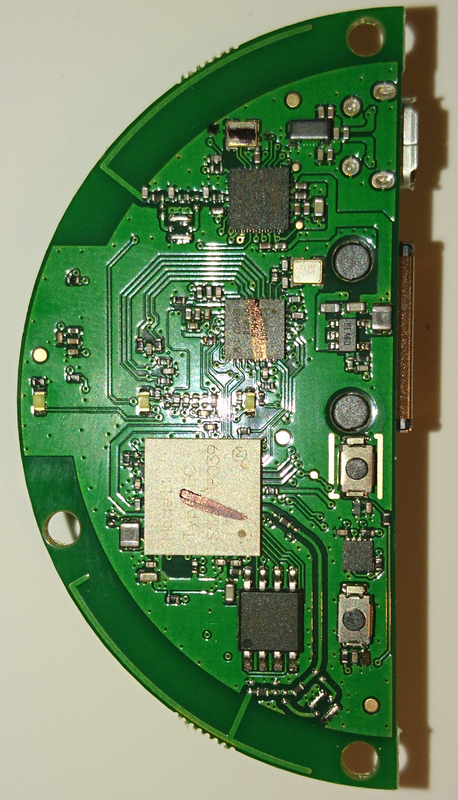 Some of you may have heard about rtl-sdr, which is basically a software defined radio framework, for cheap USB sticks. The USB sticks can be picked up for 10-20$. They’re not excellent. They have limited bandwith (~2MHz), they have noticeable noise, and they don’t have that good sensitivity. But for the price? It’s a extremely good offer. AIS reception has been covered by the guys at rtl-sdr.com. I found this quite lacking, and it didn’t explain some of the stuff, like why resample the audio to 12kHz. After fiddling around for some days, I found rtl-ais which is a modified version of rtl-sdr, with direct support for AIS decoding. It worked! Just specifying the tuner error, and it was outputting AIS messages. However, the decoder was not that elegant, and GNUAIS had interesting features, like the ability to feed data directly to mysql. 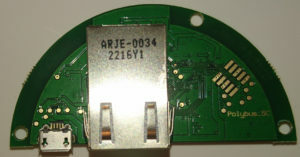 AIS is transmitted at 161.975 and 162.025MHz, which is within the 2MHz bandwidth of the RTL-SDR sticks, so both channels can be received at once. The rtl_ais software is a modified version of rtl_fm, which can do exactly this. Feeding the output audio to a named pipe, and setting gnuais up to read from that named pipe, instead of audio card, worked just perfectly! Raspberry Pi as cheap media player. As you may’ve guessed from some previous blog posts, I have been expirementing with Raspberry Pi as media player. The setup was not entirely straight forward, as it was to be located at my girlfriends place, with access to the media I have at home. I was looking at OpenVPN as solution, tying the networks together. She has ample down link (16Mb/s), and I have ample uplink (12Mb/s) to make this viable. I started testing with my laptop as media player, and 720p played just fine from a NFS volume mounted over OpenVPN. A few glitches during playback if the connection was used for anything else whilst playing, but quite smooth and usable. 1080p, however, was no go. Low BW 1080pÂ might work, but probably not. The solution for this was Plex, with a suitable plugin in XBMC. Plex handles on-the-fly transcoding to a more suitable bandwidth profile. Changing to cabled gave a throughput of roughly what the link should be able to carry (11.5Mb/s according to Samknows), minus overhead. So actual throughput was 10.5-11Mb/s downstream, and 4.5-5Mb/s upstream, tested with iperf/. Plex setting at 8Mb/s was working nice – if connection was not used for other stuff at same time. Right now it’s set to 4Mb/s, which leaves quite a bit of headroom for other stuff. First transfer money in EUR/USD/RUR or other national valuates. In addition, the credit card interface was inÂ russian,Â with quite a lot of options to select from – and wanted me to create a user at a separate website from the trading site. And of course there was a 3% fee, or more, involved, plus the 1.75% VISA charges for foreign valuates. I consider myself more technologically advanced than the average – by far. Yet I’m not able to get my hands on those cryptocurrencies in an easy way. But as means of purchasing something? Sorry. With Paypal I enter my username and password, and press enter two times. Convenience are more important than the high ideals about anonymous, untraceable currencies. For I’m all for the latter one, but not with this horrible user experience. Once again, I’ve gotten myself a Canon compact camera that can run CHDK. Apart from some minor details, it works great. One of the stupid things is that the lens does not come out automagically when turning on camera with CHDK activated. I need to do a half press of the shutter first… OK, I can live with that, typically I use the standard firmware for point’n’shoot, and only use the CHDK when I want to do some scripting. CHDK is fun as always. Easy to do new things, quite easy to create your own scripts. But I’m a bit flustered – there is not very much documentation on some functions – how to check if camera has aquired a good autofocous for instance? I don’t know if this is problems with the camera hw, or bad documentation from CHDK’s side. Raw photos from a compact camera. Zebra striping of under/over exposed areas before taking a photo. Greater manual control over camera. The list goes on, and their FAQ explains it quite well.